Globe Stone ,Turkey was founded in 2006 by Mr. Onder Oztunali. The company’s head office is in Izmir. It is the largest exporter of Turkish natural stones since 2011. With over 50 employees , the company supplies blocks and slabs of natural stone around the world. The company carries out a project named "CHILDREN OF TURQUOISE PROJECT ". The project financially supports the education of 100 children of martyrs. The Rajasthan State Pollution Control Board has found a way to make use of the stone slurry generated by stone processing units in the Kota region. The board has found a technique to manufacture bricks, tiles and building material using the stone slurry. Now, the board is trying to persuade the owners of stone processing units to avail the technique, which will not just make good use of the waste product, but also help the environment. There are more than 2,500 stone processing units in the Kota region, which is famous for the Kota Stone. These units, situated in Kota and Jhalawar districts, generate a huge amount of stone slurry and its disposal is a big problem for the industries. According to the RSPCB data, 200-250 tonne of slurry is produced every day by 250 stone processing units in Kota city alone. 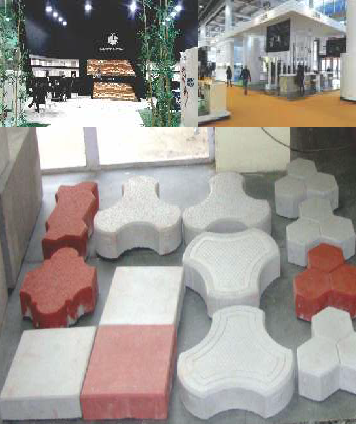 Now, the technique developed for the board by the Central Building Research Institute, Roorkee will help manufacture bricks, tiles and building materials using the stone slurry. RSPCB had given Rs.15 lakh to the CBRI around three years ago for suggesting gainful utilization of the Kota Stone slurry, which has recently divulged a new technique for manufacturing bricks, floor tiles, wall tiles and other building materials through mixing pozzolanic material with slurry. CBRI is seeking additional ` Rs.20 lakh to share its technique with the board, which is in talks with the owners of Kota Stone processing industries to share the cost. RSPCB is also ready to provide a significant subsidy to the processing units for setting up of projects for gainful utilization of slurry.